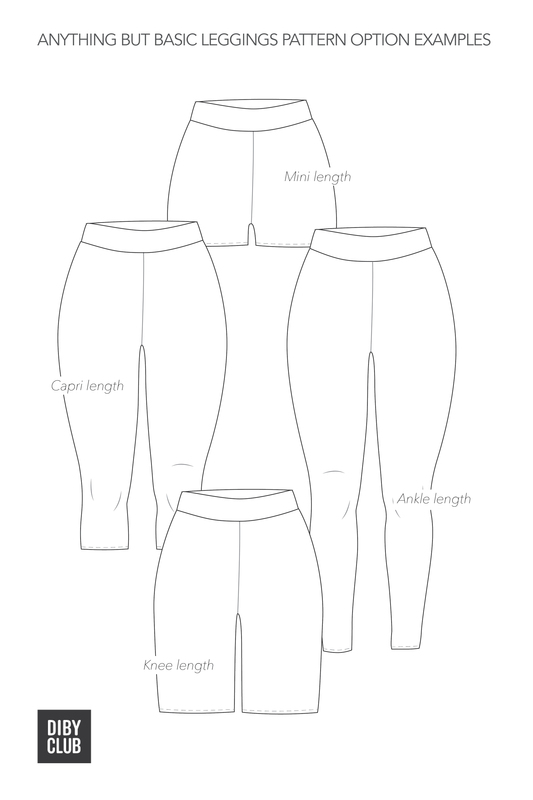 The Anything But Basic Women’s Leggings sewing pattern is the leggings pattern you’ve been waiting for! This wardrobe staple is drafted with all shapes in mind and the perfect introduction to garment sewing for the explorative beginner. Complete with our Perfect Fit adjustment tutorials, you’ve never felt so fabulous in your leggings! See the Leggings in more sizes and options! I absolutely love this simplistic yet very well thought out pattern. 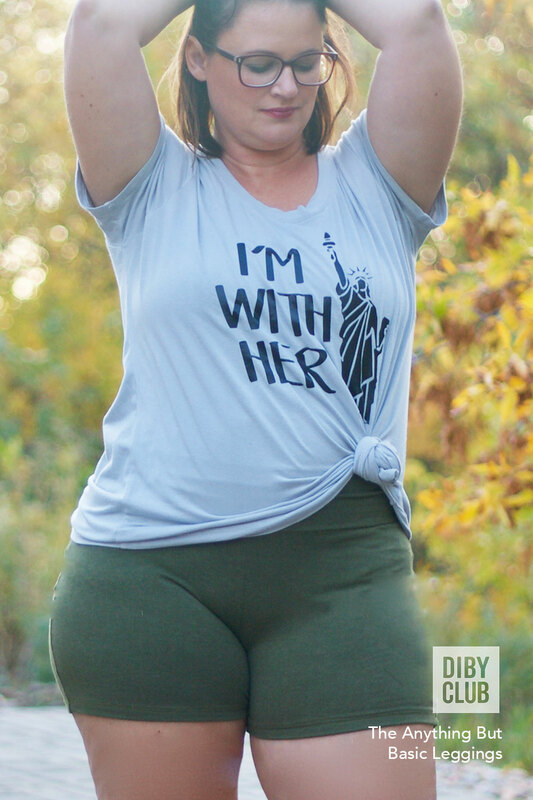 It doesn’t matter your body shape. You are covered with this pattern. Each alteration is well explained to make a custom fit. As always, DIBY delivers a fantastic pattern! Oh, try out the shorts version. Great running shorts! 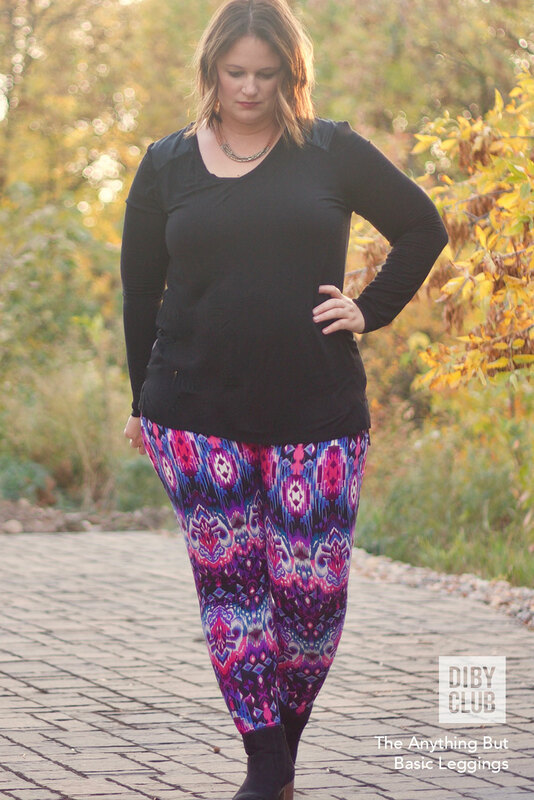 This leggings pattern is perfect! I’ve made several pairs and definitely will be making more. Even though it’s free, it is just as detailed and thorough as all of the DIBY patterns. 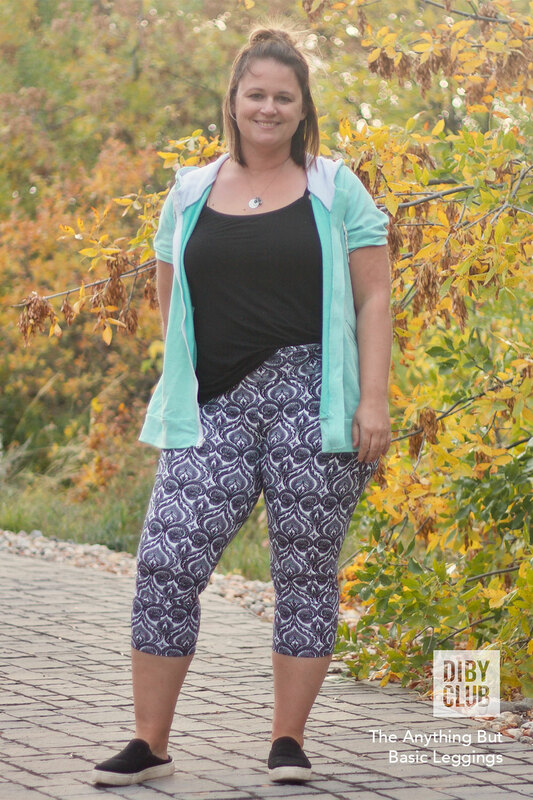 I had tried several other leggings patterns from other designers and never liked the fit of any of them. The ABB Leggings are the first pair I love. Never will buy store bought leggings again! I gave the “Anything But Basic” leggings a 5 because it is a great starter pattern that fits well straight off the printer. Sure, there may be a few tweaking necessary for some people. However, this pattern is very easy to adjust because of the side seam. Also, the pattern comes with plenty of fitting help. After using this pattern, you will be able to adjust/fix most,(if not all) of your pants fitting dilemma. I love these leggings. They fit so much better than other patterns I have tried. They have less negative ease so they are more comfortable. I think next time, I will raise the waistband a little because I like the “tummy tuck” look ha! I have tried many leggings patterns and I can say that this is the best one. The instructions are clear and easy to follow. What puts this pattern above others is the instructions to get a perfect fit. 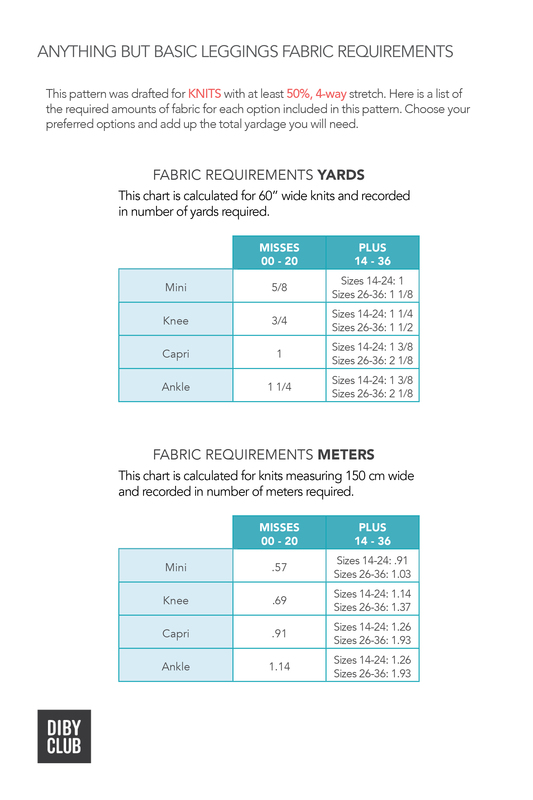 They help you through each step from measuring and cutting what will fit you! I recommend this for beginners to advanced sewists. This is one of my favourite patterns for leggings. 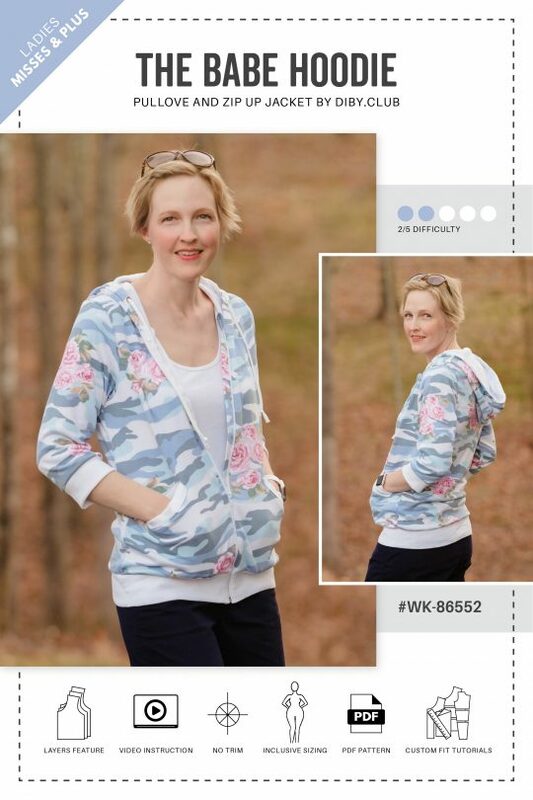 The fit tips right on the pattern are awesome, the instructions clear and concise. The fit was great. Highly recommend. 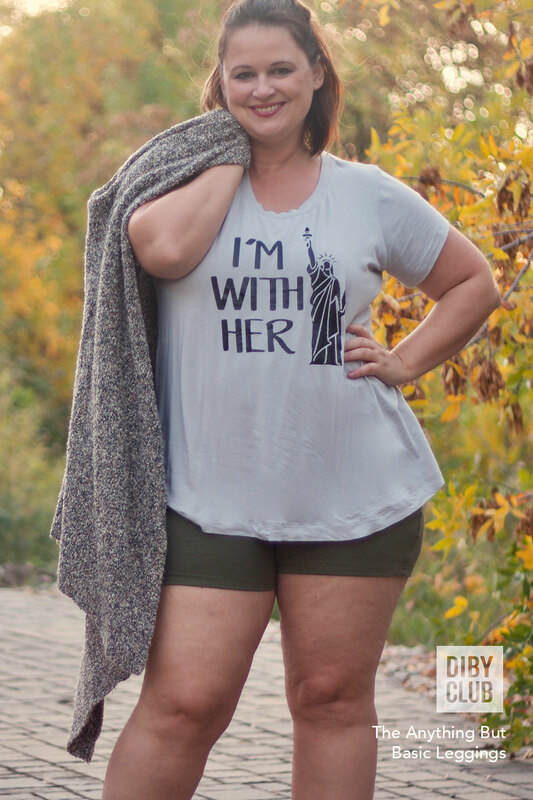 So, who needs *another* (free) leggings pattern?? Uh, you do. But only if it’s this one. Sure there are things unique to my own personal shape that I had to adjust on this pattern, but the clear markings of hip, thigh, and calf made this SO MUCH easier than any other pattern I have tried. I have been impressed with DIBY patterns in general and this one was no different. 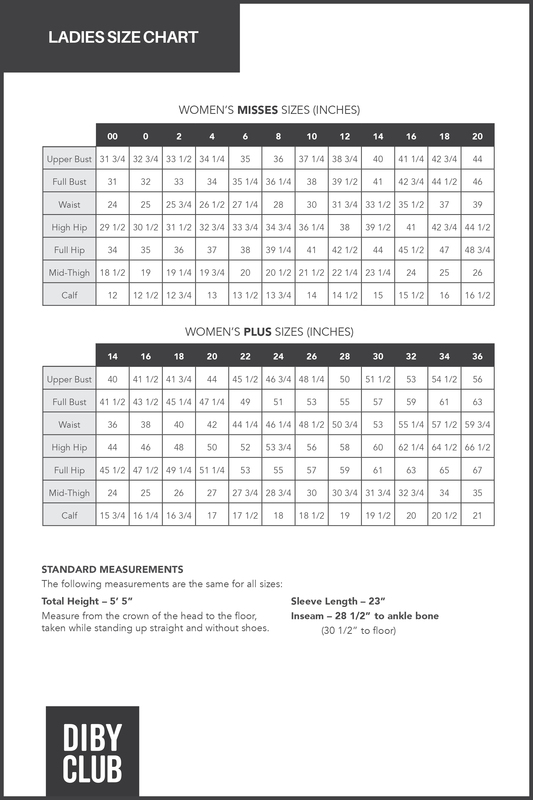 All the charts and measurements provided, plus the step by step directions were super helpful for getting a great pair of leggings that fit perfectly.